Today definitely feels like fall. I hate letting go of summer, but once in a while I enjoy a cool, overcast day to gaze out the window of a coffee shop and write. I’m starting to ramp up on my inventory of less personalized jewelry to sell at some local art fairs. I’m working on a few autumn-themed pieces, and thought I’d start out with a simple bracelet. I chose yellow, but it is available in other earthy tones as well. 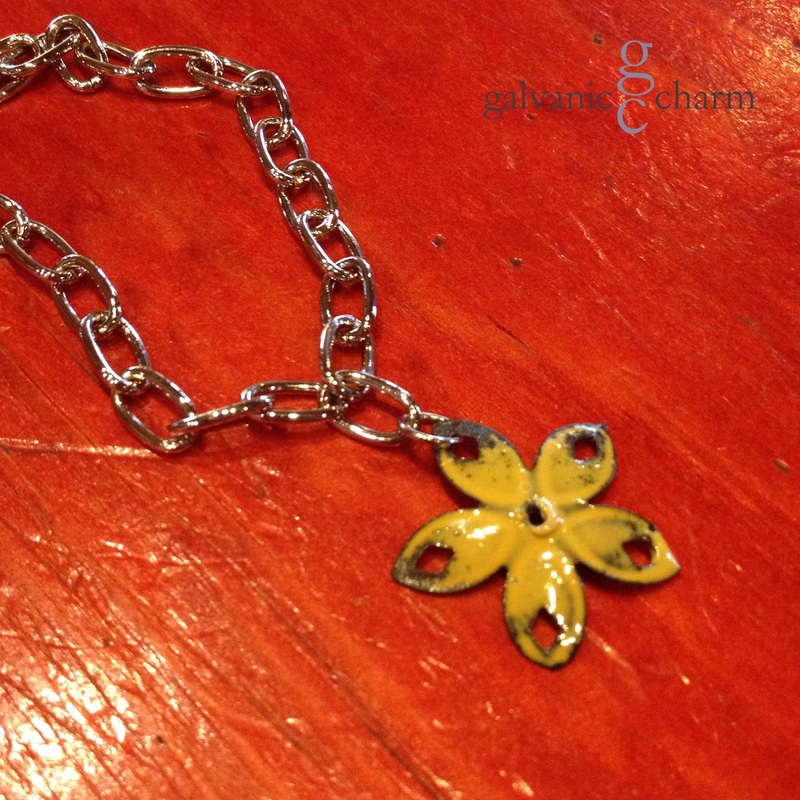 BUTTERCUP – Wristlet with 1″ yellow enameled metal flower charm. Silver plated oval link chain with lobster clasp. $15 as shown. Available directly or on Etsy.